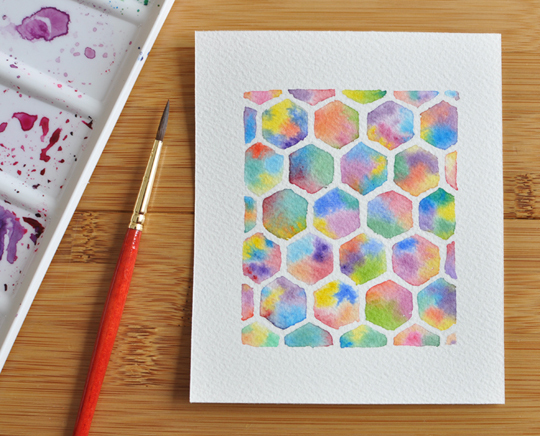 Today's creative thing: A honeycomb. I was looking at photos of honeycombs this morning and noticing the individual cells. Some were rounder than others. Some a little rough around the edges. None of them quite perfect, but nonetheless creating an amazing structure. I thought they might make a neat watercolour experiment, with a colourful twist. I love your paintings! This honeycomb one is so effective.